Mow the neighbours lawn? Quickly get hold of a skilled handyman? More and more digital marketplaces are emerging in order to facilitate the link between those who offer and those who need services. There are many different solutions, and two of the market’s players predict that things are only just starting. 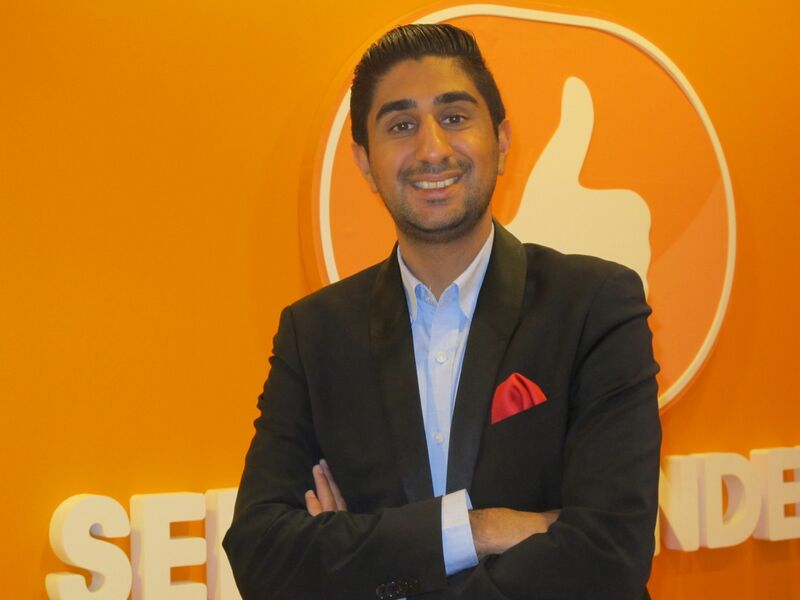 “We are still relatively small compared to the potential this market has, and we want to become like Blocket (Sweden’s largest online trading site), but for services,” says Vishal Nanda, head of marketing at the services broker Servicefinder AB in Stockholm. Servicefinder started up eight years ago, dealing with cleaning and building services. But there is a steady increase in the type of services for which they help establish contact between customers and service providers. Customers who needed help will register what they need on the company's homepage, before receiving a range of offers from relevant craftspeople. The customer can then read other customers’ feedback, knowing that all the craftspeople have been checked out. When the customer and service provider have been linked up, they will sort out the payment between them. Servicefinder collects a fee from the around 10,000 companies which are registered with them. They have experienced quick growth since the start, and are now making a profit. They now employ nearly 60 people, and so far they have passed on more than 500,000 offers or price estimates to 300,000 members. The company is now the largest in Sweden’s services market. 70 percent of Servicefinder is owned by Schibsted, the rest by the three founders Vishal Nanda, Aleksandar Goga and Jeffrey Singh. Vishal Nanda welcomes us in the company’s airy offices at Garnisonen in Stockholm, a gathering of offices which stretches across a full block in the Östermalm area. Its houses new and growing companies, but also state authorities and further education facilities. Outside the December day is grey, but inside it has competition from Servicefinder’s orange branding — inspired by the red-orange hardhats of construction workers. It was a seemingly simple question which led to the creation of Servicefinder, and which changed the lives of the three friends Vishal Nanda, Aleksandar Goga and Jeffrey Singhs. Vishal Nanda’s father had bought a plot of land and really needed some craftsmen and removal help. He didn't know any, so he asked to son to ask his friends the next day whether they had any ideas. His friends were 19 at the time and attended the Royal Institute of Technology (KTH) and Stockholm University. None of them had any tips to offer the father, but the question tickled the three friends — why was so hard to find craftsmen? “This was a Friday and it would have been more normal if the question was ‘where is the party?’ Instead we spent the entire weekend writing down ideas on serviettes and on small pieces of paper looking at how we could create a service which would link customers and good craftsmen. There was no tradition in Sweden for how to find good craftsmen, despite the obvious need. But we identified the business idea,” says Vishal Nanda. Back then you had to go to the classifieds in the telephone catalogue, which didn't tell you much more about the craftsman's skills beyond his name and address. The three founders also saw that there was a huge number of people looking for craftsmanship. The timing was also an important factor. In 1993 the so-called ROT allowance was introduced, which gave tax relief for renovation, refurbishment and extensions. In the autumn of 2006 the centre-right government also decided to introduce a so-called RUT allowance for household services. This came into force in January 2007. So technically too, the time was right. The three friends got going. They hired a basement in Norr Mälarstrand in central Stockholm. It was small and dark but had a good address. They decided to really go for this. They scraped together the money needed to set up a limited company and they left university. Their parents were not happy. “The main factor behind the decision to really go for this was the fact that we were young. We had no fear and nothing to lose when we put all our effort and money into this untested concept. Later we've understood that the timing was important but we didn't know it at the time. The three first years were very hard on our private lives, however. We all come from homes with safe academic traditions, and our parents hardly spoke to us. We had to find some energy from elsewhere, from mentors and role models,” says Vishal Nanda. The first year they spent developing and building a technical platform and the business idea. It was hard to find money, and they did not take out any wages in the first few years. But after a while a so-called business angels heard about them and provided them with both time and capital. For a while Bonnier was a part owner, and in 2011 Schibsted bought 70% of the company. Schibsted owns several publishing companies and also the online marketplaces Lendo och Blocket. “We are a marketplace and we want exposure. That's why a media house is a good owner, and it has helped us reach the next level,” says Vishal Nanda. Today the company is marketing more and more types of services, including those which are not covered by ROT or RUT, for instance dentists, car mechanics and accountants. The key issues are control, quality and reputation. Each service offered should be safe and it should be simple. Vishal Nanda describes the company as a kind of craftsmen's agent. “I don't think our service could have existed without ROT and RUT, but we also noticed a change in customer behaviour. Today people are happy to let others to do the job. In five years time we will have a presence in several countries and we will provide services across more trades,” says Vishal Nanda. When they started out, they had few competitors — maybe two or three. Today there are more than 40 companies in the trade and their main competitors are the traditional catalogue services like Hitta.se and Eniro. It turns out that it is not easy to map today’s services market. Statistics Sweden have yet to establish a category for it in their company registers. At Almega — the employer and trade organisation for the Swedish service sector — the phenomenon seems so far to be falling between two stools. It does not fit in with IT, the telecommunications trade or temping agencies. Business publications are the ones that seem to be keeping an eye on the new, growing trade. “It comes out of the USA, it is called the sharing economy and it is definitely a growing phenomenon. This development is also built on a change in behaviour among customers. People are busy, they do not have time and they want to do fun stuff. What we can help with are the slow burners, the things that take time to get done,” says Robin Szekely who over two months ago established Taskrunner, a provider of small services. Robin Szekely is a trained economist and has been working with large businesses and for the South African Export Council. All this time he has had an idea. Here too a father was involved at the beginning. At their country house he saw how his father and all the neighbours would go to the neighbour who knew about cars to get help when their cars broke down. But there wasn't always the right help to be found, not even for quite simple tasks like taking a dog for walk, mowing the lawn or getting help to carry a heavy load to the loft. Helpers and people who needed help simply needed to find each other, Robin Szekely realised. “I started taking a closer look at the concept and decided to work on it full-time. The idea is that you should be able to get help from people in everyday life, and that they should be close by. That's why we are using location technology which shows both where you find those who need help and those who can provide it. The idea is that nobody should need to travel right across the city to help someone carry something into the loft. This way we achieve an efficient allocation of resources,” says Robin Szekely. After spending one and a half years building up the company and the platform, the business went live at the end of September. Recently the state owned venture capital firm Almi came on board, and he has been mentioned in a range of business publications. Robin Szekely owns most of the company, but he also has a business angel who owns a small part. So far he has no employees, but he gets help from a few colleagues on a consultancy basis. He explains how it works. Those who want help with something write it down and show on a map where the help is needed. Whoever wants to provide help will say they’re interested and the potential customer can decide whether it is a good match by reading the description of the person as well as reviews from other users. If the customer presses the ‘hire’ button, the money goes into a customer member account. When the task has been performed to the satisfaction of the customer, it is approved and the money is transferred to the person who provided help. Taskrunner takes a 10 to 15 percent commission for this. Taskrunner provides information about taxation regulations, but the service provided by the company is only the actual matching. No task is too small or of the wrong type. It could be anything from hiring a birthday singer with a funny dialect, a photographer for an event or drilling a hole in a wall. The only limit is your own imagination, says Robin Szekely. It is mainly young people who work with Taskrunner’s missions. It is hard for young people to enter the Swedish labour market, says Robin Szekely, and here they get the chance. After carrying out a number of tasks, they both have a CV detailing what they have been doing, and an assessment of how well they have carried out their tasks. “We are the perfect link between the young people and working life. They get to meet people and tests different kinds of tasks. Our business gives young people a track record and acts as a stepping stone into the job market,” says Robin Szekely, who is happy to take part in the debate on youth unemployment.